The New Indian Government is quite user friendly and providing help to indian people by many web portals, using technology maximum. Here is list of Web portals that are operated and launched by Government of India. You can use this web portals and get instant help. Almost all ministry of india have twitter handles, facebook page and website, but we are not considering it, we just considering to the web portals which are there to help people, common people of india can take benefits of this sites and interact with government. My Gov Portal is interaction, discussion portal designed to interact directly with Prime Minister Narendara Modi. You can give suggestions, questions, query at mygov portal.Also, you can take part in various discussions where Prime minister seeks your suggestions, you can debate with others at my gov portal. And you can also take part in various government competitions and win prize. Competitions like Logo design, slogan making etc. 89,612,000 Members has been registered with mygov portal till date and 504,76,000 comments has been received till date. Check more about My Gov Portal here, how to sign up etc questions are answered here. Yes, the newly designed portal Khoya Paya will help you to find missing children's. Since, every year 44,000 children from india goes missing, this portal have central database, by using that, you can track your missing children and also help sighted missing children.Just visit at KhoyaPaya.gov.in now and find the missing children. This year old government has made new portal, by which you can see live attendance of government employee. Yes, now you can see is the government employee who get your taxed money as salary, is working there, is it in office or not.You can track them via their system. As soon as the employee logged in his/her system, their attendance goes live on this portal. Central Government's 516 organization's 121687 employees are registered via this portal. Visit Attendance.gov.in now to get live streaming of attendance of government employee. Do you have fear of loosing your certificate, mark sheets? No worry, now government of india provide you Digital Local, free of cost. In digital locker, you can save your all e-documents, mark sheets and all other important documents which you need to save. Now government will save and take care of it on behalf of you. Just get sign up at Digitallocker.gov.in and Upload all your e-documents via scanning, you can download them whenever you needed. In case you need to share this docs, you can directly share them via this portal. 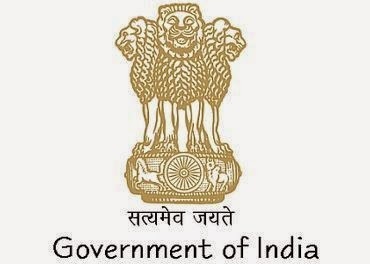 India.gov.in is biggest and oldest portal of india where you can get all information, all department links, how where what, all answers related to india and government of india are found at india.gov.in. Check India.Gov.in now and you will understand what the portal is about. All information about india in statistical way are available at data.gov.in. Data portal has information of3560 categories, of 87 department. For example if you need data of total population or kids who are going school at what age,kind of information can get from Data.gov.in. There are many other web portals like http://passportindia.gov.in/, http://indianvisaonline.gov.in and http://IRCTC.co.in/ which are quite old and still available. we try to cover up other then these portals which are just launched or provide help to common people of india. Slowly and surely, India is moving towards Digital India concept. Many more web portals are coming soon, keep visiting us for more updates.